Motichoor and Boondi Ladoos are same in all respects. They are made same way. 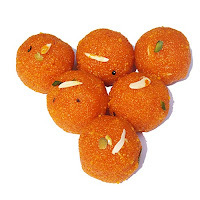 Only the difference between boondi ladoo and motichoor ladoo is size. Motichoor is smaller than boondi. Ladoos are ready to serve !